Brett visits Cheryl, Cheryl asks Brett how he's getting on. CHERYL: Sounds like an Italian coffee. Cheryl asks about this girl, but Brett's too sheepish to talk about her. Cheryl asks how Danni is, Brett says she's busy but she'd probably want to tell Cheryl about it herself. 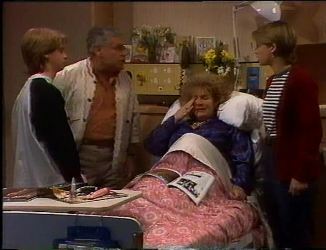 The nurse arrives and tells Cheryl her blood pressure is up. 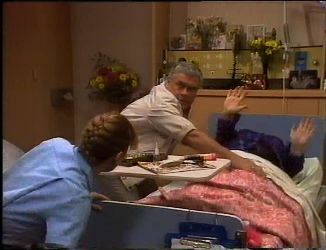 Cheryl says she has a dull headache, and the rings on her fingers feel tight, so the nurse goes to get her paracetamol. 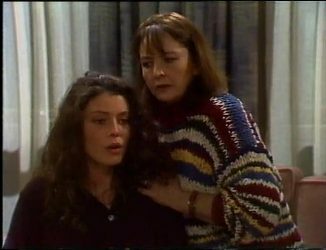 As the nurse goes, Cheryl asks again about Danni. Brett hugs Cheryl and says it's a surprise, but a good surprise. Sam and Mark are painting Dave's hippy van. They talk about Mark using it for a food delivery service. Mark ropes Sam into helping with the business tonight. Danni arrives and asks Mark for some money, needing to buy more clothes for her photo session, as the recording industry is very expensive. DANNI: Think of it as investment. I'm going to have more money than I know what to do with soon. I'm going to have a mansion, a helicopter, all that sort of stuff. I'll make back double when I'm a mega star. SAM: Where do I sign? MARK: (To Sam) You're not as dumb as you look, are you? Sam says he's got some spare cash so he gives Danni $150. She thanks him, then sees Cody walking up to her house and runs to catch up with her. 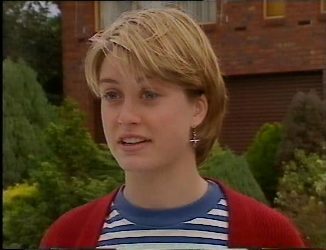 Brett enters, Danni asks how Cheryl is, and if she's in a good mood, as she needs to get a loan, and to get her to sign the release form as she's not 18 yet. Danni tells him about all the expenses she needs and how successful she'll be when she's a big star. Danni tries to get money out of him but he refuses. BRETT: Yeah he might be worth something. He's always good for a sob story. DANNI: Yeah you're right. And he owes me after I bought him that little pig. Good idea Brett, I'll squeeze it out of him just after I finish here. 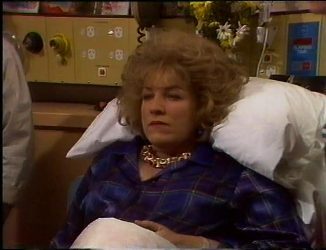 Pam is packing a bag, Gaby wanders off saying she's taking a shower, but Cody runs off after her saying they're just about to go and she'll have a shower at the birthing centre. Cody brings Gaby back through, she's still in pain. CODY: What are we going to do? PAM: We're not waiting any longer. 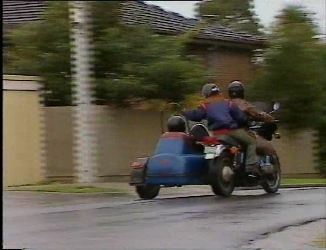 Cut to exterior, Pam and Cody ride the motorcycle down the driveway with Gaby in the sidecar as they speed down Ramsay Street. Annalise returns to find Mark and Sam cooking. ANNALISE: Do you think you guys could use a bit more of the kitchen? ANNALISE: Yeah exactly. And I've just spoken to Rick and he's not happy about it either. We can't get into our own kitchen, do you forget that you live in a share house? Annalise asks if Mark has a licence to work out of a domestic kitchen, Mark says no, Annalise complains that she's not even able to make a slice of toast in her own kitchen. While they argue Sam looks very uncomfortable. Mark tells Sam that they're going to his place. Sam asks Annalise if they always fight like that, as it doesn't sound very healthy. Doug uses a pay phone. He gets no answer at home and wonders where they all are. Gaby, Pam and Cody arrive in their room. The nurse tells them to make themselves comfortable. 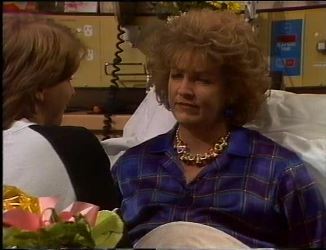 While Gaby breathes heavily, the nurse suggests Pam and Cody get themselves a coffee. 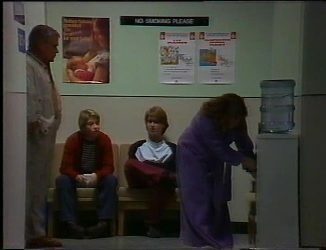 Pam and Cody leave Gaby with the nurse while they go and get a cuppa. Annalise complains to Cheryl about Mark, while Cheryl looks increasingly uncomfortable. She tells Annalise she's not feeling very well, Annalise runs off to get someone. Cheryl presses the buzzer as they come quicker that way. The doctor arrives to speak with Cheryl, Annalise leaves her. Dr Lawrence talks about Cheryl's symptoms and says it points to a condition called pre- eclampsia. The doctor tells her the flow of blood to the placenta may be compromised. The doctor lists some treatments and tells her not to worry as they're keeping a close eye on her. 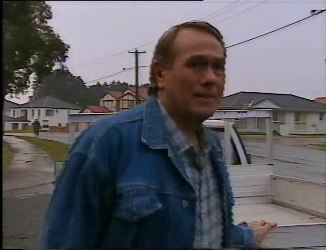 Lou arrives and Danni asks him for a loan. DANNI: I wouldn't exactly put it like that. LOU: Well maybe you should love. Now either you've got rocks in your head or you're more naive than I took you for. DANNI: Alright so now I'm stupid as well as untalented. Danni says that Cheryl will give her the money if she gets there before Lou does. 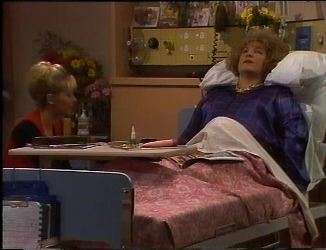 Danni and Lou are arguing around Cheryl's bed, unaware Cheryl is really uncomfortable. Brett tells them to give Cheryl some peace and quiet but they continue to shout at each other. Gaby's contractions are 2 minutes apart. She's breathing heavily while Pam and Cody help hold her. Doug runs in and joins them. 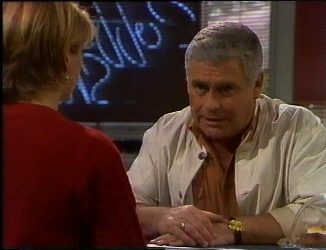 Lou tells Danni that he knows what middle aged men want from teenage girls. While they continue to argue Cheryl reaches for the buzzer and starts seizing (though it looks like a strange dance move). The doctor rushes in and says they'll need to do an emergency caesarean. Gaby is sitting up, gripping onto Cody's hands. Cody tells Gaby they're all there for her and they love her. The nurse tells Gaby to start panting. Gaby starts pushing and sceaming (while we hear an uplifting Neighbours music score). 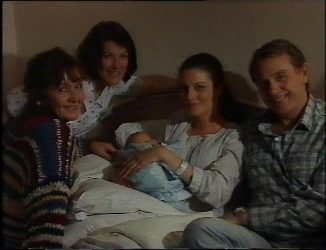 The baby is born, and Doug tells Gaby she's had a boy. They all hug. BRETT: She's going to be alright isn't she? DANNI: How can you be sure? Gaby holds her baby in her arms, with Doug and Pam by her side, while Cody takes photos. 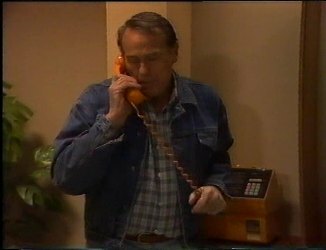 Gaby decides to call the baby Shannon, which Doug says is a fine name for his baby Grandson. They ask Olga the nurse to get in the photo with them. 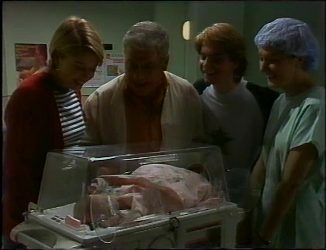 The nurse wheels Cheryl's baby out, its in a ventilation booth. Lou, Danni and Brett ask how it went, Cheryl's fine, there were no complications. They all look at the baby. LOU: Um... what brand is it? LOU: A girl! Say hi to Shannon. The nurse wheels the baby to the special care nursery, Lou is concerned and follows. BRETT: Special care nursery, why are they taking her there? DANNI: I don't know. Poor mum, this isn't what she wanted at all.